Anticipation is singer-songwriter Carly Simon's second studio album, released in 1971. It is best known for its title track, "Anticipation", which was a top-twenty chart hit in the U.S.; it was later used as the soundtrack for a television commercial for Heinz ketchup in the late 1970s. The song relates Simon's state of mind as she waits to go on a date with Cat Stevens. The album cover artwork is a photo of Simon taken at the gates of Queen Mary's Garden in London's Regent's Park. The closing song, her version of Kris Kristofferson's "I've Got to Have You", was released as a single in Australia and reached the top 10 of the Australian charts in 1972. Writing in Rolling Stone, Stephen Davis gave a glowing review of the album. He called the title-track "a spirited examination of the tensions involved in a burgeoning romantic situation in which nobody has any idea of what's going on or what's going to happen." Davis continued by calling "Our First Day Together", "...a quiet song, lovely and quite enigmatic, with a trace of the minor chord influence of Joni Mitchell." He concluded by calling "I've Got To Have You", "an ...absolute clincher, an awesome description of the psychic ravages of gone-nuts, know-nothing love." He continued by saying, "...as Carly performs it, it becomes a tour de force, and a stern reminder to those of us who might have forgotten that passion is the ruler of man, not reason. When Carly moans 'I can't help it ... I've got to have you,' we're being shown something so primal and so private that it takes your breath away." A more recent review from Allmusic's William Ruhlmann continued the praise. Ruhlmann rated the album three and a half out of a possible five, and stated, "the album ...found her extending the gutsy persona she had established on her debut album." In 1973, Anticipation was certified Gold by the RIAA, for sales of over 500,000 copes in the United States. ↑ "Carly Simon Official Website - Anticipation". Web.archive.org. Archived from the original on October 12, 2012. Retrieved 2015-03-18. ↑ Ruhlmann, William. Anticipation at AllMusic. Retrieved 12 July 2007. ↑ Davis, Stephen (December 23, 1971). "Carly Simon Anticipation > Album Review". Rolling Stone (98). Retrieved 7 November 2011. ↑ "Carly Simon Carly Simon > Review". Uncut. Retrieved 7 November 2011. ↑ "Carly Simon certifications". RIAA.com. Retrieved 2014-12-28. ↑ David Kent (1993). Australian Charts Book 1970—1992. Australian Chart Book Pty Ltd, Turramurra, N.S.W. ISBN 0-646-11917-6. 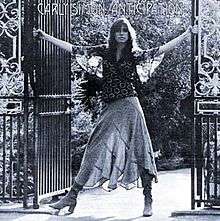 ↑ "CAN Charts > Carly Simon". RPM. Retrieved 2015-01-04. "Legend in Your Own Time"
"Haven't Got Time for the Pain"
"You Know What to Do"